Clayey soil, yellow marls and deep ground at the foot of the slope for Les Fourneaux. 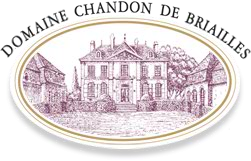 In the northern vineyard of Savigny-lès-Beaune, the parcel is found between the villages of Savigny and Aloxe-Corton. Limestone soil for the parcel at Les Saucours. The wine is full, rich and supple, fully expressing the fruity side of Pinot Noir. Red fruits dominate (strawberry, raspberry, redcurrant). Its abundant freshness makes it very pleasant and easy to drink. We advise keeping it for 5 to 8 years, although it is drinkable earlier for those lacking patience.